Solitude is an oil on stretched canvas painting of the peace and solitude felt while walking the beach. 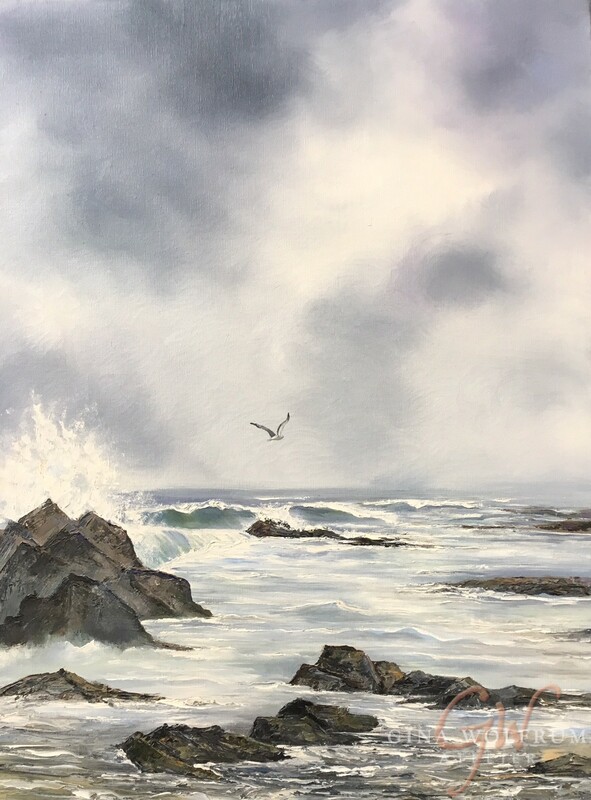 Waves crashing against the rocks create a misty effect to be appreciated by seagulls and beach walkers. This unframed painting is best displayed with a frame (not included); we are happy to help with framing options. Thank you for visiting Gina Wolfrum Atelier. Please take a moment to Like Us on Facebook.